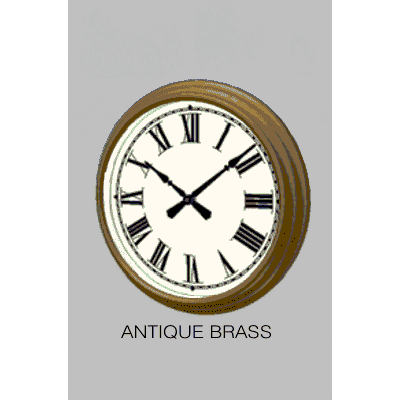 Style 429XX Clocks are an indoor clock based on the design of a clock manufactured in the early 1900’s. 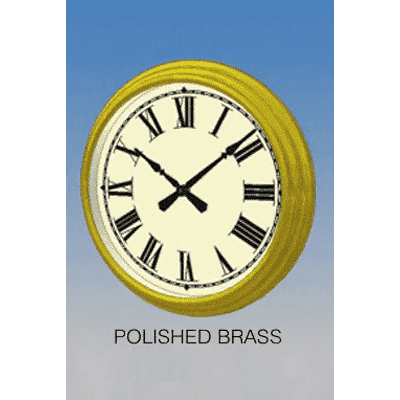 The clock design consists of a spun metal case, electric movement (battery available on 15″ size) . Standard dial markings design “F1” and hands “FS”. 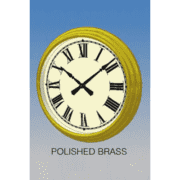 The case is furnished with an antique brass finish or polished brass finish. On special order any of our standard dial markings and hand designs are available and/or special finishes.